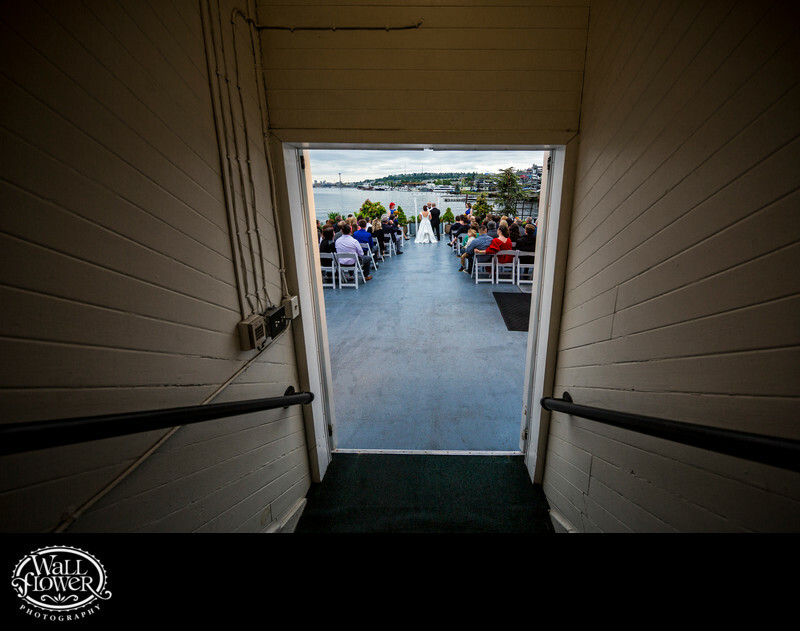 For this photo, I climbed a few stairs on the MV Skansonia to capture a view of a wedding ceremony on the deck along the path that the bride had just taken a few moments before. It took a very wide-angle lens to capture all that. The warm tones and rough construction of the stairwell provide an interesting contrast to the beautiful, cloudy light outside. And the Space Needle makes a cameo in the upper-left corner!